Home » Bollywood News » Kapil Sharma introduces his girlfriend ‘Ginni’ on twitter! 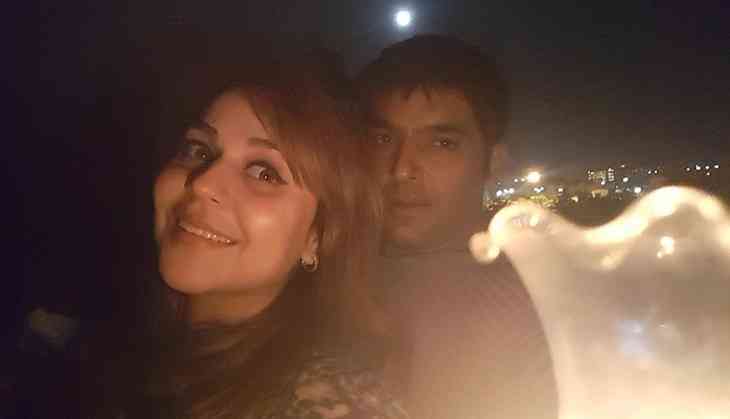 Kapil Sharma introduces his girlfriend ‘Ginni’ on twitter! Renowned comedian, Kapil Sharma who is known for several comic shows on television, took to twitter to confirm that he is in a beautiful relation with Ginni. The actor seemed to be on a dinner date with the love of his life. The comic actor jokingly tweeted to Deepika Padukone saying that he won’t miss her any more since he finally has found his true love. Kapil Sharma made a debut in Hindi film industry with Kis Kisko Pyaar Karoon which proved to be a successful film. The actor is currently busy shooting for his second feature film.